‘’ Siobhan was excellent, great perspective, huge knowledge base and very respectful of the work/personal context we all came from.’’ Student Level 6 MHA Dublin. The Learning Curve Institute's QQI Level 6 Mental Health Awareness programme is fully validated by QQI under the new Common Awards System at Level 6 on the National Framework of Qualifications. It carries a Credit Value of 15 credits and can be combined with other Level 6 Minor Awards to achieve a Level 6 Major Award in Social and Vocational Integration. This module at QQI Level 6 has been developed to enhance the understanding of Mental Health by personnel currently working in the Mental Health field or for those people who wish to develop a career in nursing, mental health or other sectors of the caring professions. The purpose of this programme is to equip the learner with the knowledge, skill and competence to work independently or in a supervisory capacity in an organisation which provides services to individuals with mental health difficulties. The QQI Level 6 Component Certificate in Mental Health Awareness takes place over 4 full days (see below for dates) and is delivered using a blended learning approach. This includes 30 hours of classroom based directed learning using a variety of methodologies and 8 hours of online contribution via discussion forums. Assessments and projects are due in 8 weeks after the last lecture day. Group participation and interaction is actively encouraged. Students are advised that a further 30-40 hours of self-directed learning over an 8 week period is required for successful completion of the assessments and the programme. Upon successful completion of this module participants will receive a QQI Level 6 Mental Health Awareness Component Certificate. It is also known as a "Minor Award" at Level 6 on the National Framework of Qualifications. This module is also one of the components of a variety of QQI Level 6 Major Awards including the Level 6 Major Award in Social and Vocational Integration. 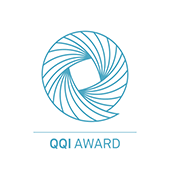 Through the new QQI Common Awards System this component certificate can be combined with other QQI Level 6 Component Certificates or Minor Awards to achieve a Level 6 Major Award. These other modules can be completed with other providers and at a time that is convenient to you. To build on and expand existing knowledge in relation to Mental Health within the group. To enhance confidence in participants in relation to their understanding of Mental Health Awareness and the different areas of Mental Illness. To allow space and time for participants to look at intervention and treatment approaches for dealing with Mental health issues. To equip participants with knowledge about recovery and advocacy options that are available. Level 5 Certificate in an associated or relevant subject area, Leaving Certificate or equivalent qualifications and/or relevant life and work experiences. There are two assignments required for successful completion of this QQI Level 6 Mental health Awareness course. Learner Record: A personal journal will be compiled by candidates. It will include a record of how the candidate integrates the knowledge and understanding of mental health issues into their daily work. The journal should show a record of how the candidate recognises the symptoms and characteristics of mental illness, the impact of mental illness on the individual and how they integrated strategies to improve mental health and aid recovery. Project: The project will require candidates to demonstrate a broad knowledge and understanding of the key learning outcomes. Candidates will be required to research a range of documents which will be supplied and integrate this knowledge and understanding into a comprehensive project. As part of the project candidates will present one aspect of the project content through an oral presentation. You do not need to buy any books for this course. All materials for the QQI Level 6 Mental Health Awareness course will be available for download from The Learning Curve Institute website. We will also supply a list of recommended reading and websites that you could consult for further reading if you wish. Please contact The Learning Curve Institute on 098 25530 or info@thelearningcurve.ie if you require any further information regarding the QQI Level 6 Mental Health Awareness component certificate. To book a place on this course please click on the Book Now tab of this website and book online with a debit or credit card. The course fees can be paid in full or in 2 installments - a deposit of €200.00 and the balance of €399.00 paid a minimum of 1 week prior to course start date. If the students in receipt Department of Social Protection funding a security deposit of €200.00 must be paid and all TESG paperwork must be completed and authorised a minimum of 1 week prior to the course start date. QQI Certification Fee: QQI charge a Certification fee of 20 per person per Minor Award for the issuing of all QQI component certificates. All learners undertaking QQI courses with The Learning Curve Institute will be liable for this 20 fee in addition to the relevant course fee. Social Welfare recipients and/or Medical Card holders are exempt from this fee. Please see www.QQI.ie for full details.